The Milwaukee Arab Film Festival opened viewers eyes to the reality and struggles of being an Arab American in the United States. MILWAUKEE, Wisconsin — The 10th annual Milwaukee Film Festival hosted a range of motion pictures that celebrated the diversity of the Arab and Muslim communities from October 18 to November 1. Films were selected across a range of topics and groups, ranging from Palestinians to Somali Americans and old-age traditions to new-age issues. The festival showcased all these unique stories and their combined and interwoven struggles. From Ilhan Omar’s thrilling attempt to become the first Somali American legislator elected in U.S. history in Time for Ilhan to Assia Boundadoui’s cautionary tale of the effects of a lifetime of domestic surveillance in The Feeling of Being Watched, the Milwaukee Film Festival opened viewers eyes to the reality and struggles of being an Arab American in the United States. Speak English. If you must speak Arabic in public, never do so with a raised voice. Dress American. Act American. Stay together in groups, seem as non-threatening as possible. If you see the strange suited men in their bulky black cars, ignore them, but tell us. If you wake in the night and see them fiddling with the telephone wires by the house, just go back to sleep. And whatever you do, don’t ever, ever use the word “bomb.” Consider it a swear word. Our safety depends on it. Such were the lessons drilled into journalist Assia Boundaoui by her mother when she was growing up in Bridgeview, Illinois, a small community a few miles outside Chicago that’s home to some 200 Muslim families. If not for the local mosque and smattering of hijabi, the town would be indistinguishable from the general sprawl of American middle class suburbia. Assia Boundaoui shows FBI documents to her family in The Feeling of Being Watched. 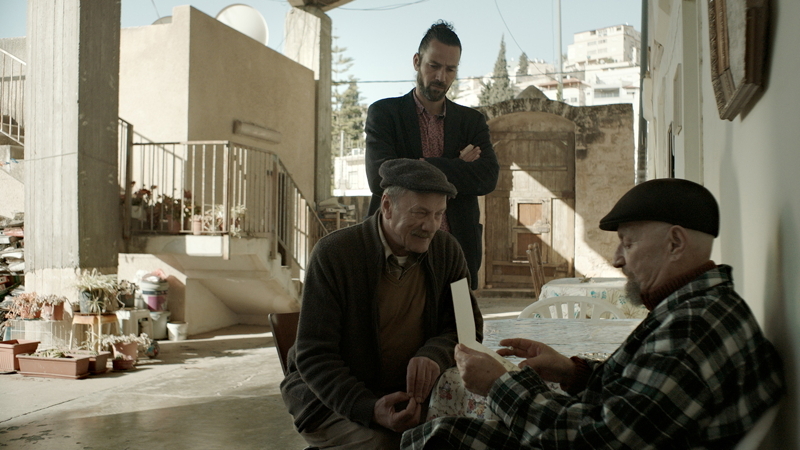 Other films, such as Annemarie Jacir’s beautifully realized Palestinian road movie Wajib – The Wedding Invitation, offered a gently comedic look at issues faced by modern-day Palestinians when a Palestinian father spends the day hand-delivering his daughter’s wedding invitations – a local custom known as wajib – alongside his son, who has returned to help after many years abroad. As the day progresses, this estranged pair must confront the tensions inherent in their relationship while driving around Nazareth and confronting the cultural tensions involved in wrangling friends and family for such a momentous event. Love, life and family meander across the screen in Wajib – The Wedding Invitation. Wajib means “duty” and there are all manner of duties and customs observed herein, from the endless salutations and shows of respect to the ritual that forms the basis of the film. Architect Shadi (Saleh Bakri) has returned from Rome, where he lives with his Palestinian girlfriend, to Nazareth, where his sister Amal (Maria Zriek) is to be married. And according to tradition, Shadi and his divorced father, Abu Shadi (Mohammad Bakri), must drive around town delivering wedding invitations. The viewer buckles into an old Volvo for this low-octane, but endlessly revealing ride among family and friends. There are plenty of cultural and personal collisions here, wonderfully and touchingly illuminated by the real-life father and son leads. This is a story about Palestinians finding their way in Israeli-occupied land which has many layers of tension, but it explores many of the struggles depicted as universal ones. Perhaps more tellingly, worldly director Jacir, a Palestinian raised in Saudi Arabia and educated in New York, looks at the drifts that have happened across the world through globalization. Director Norah Shapiro’s Time for Ilhan tracks immigrant and practicing Muslim Ilhan Omar’s attempt to become the first Somali American legislator elected in U.S. history. Seeking to defy expectations, Ilhan and her ragtag campaign staff go head-to-head with a four-decade incumbent in order to bring some much-needed representation of immigrant culture to Minnesota’s government. Filmed prior to the U.S. election in 2016, the documentary explores the rise of 34-year-old Ilhan Omar, a dedicated community organizer who partakes in the highly contested race for a seat in the Minnesota State Legislature. 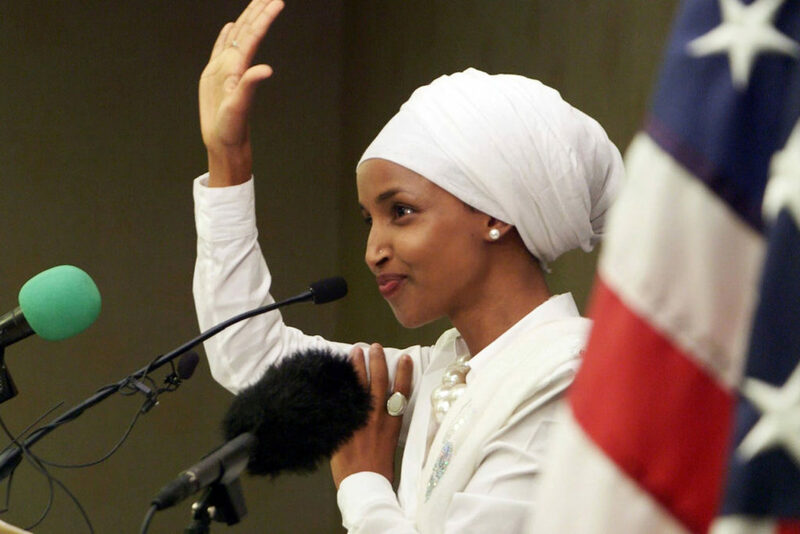 With a team that firmly believes in the power of a truly representative democracy, Omar becomes the first Somali American and Muslim woman with hijab to be elected to a state legislature in the United States. The Wisconsin Muslim Journal contributed to this report.